Today, I'm sharing a simple card with diecut background using Stacked Edges 2 dies from Pretty Pink Posh, which is so useful in making fun patterns. I started with multipe diecutting using the hexagon shape die out of copic friendly heavy weight paper. I then colored each cut using copic markers. 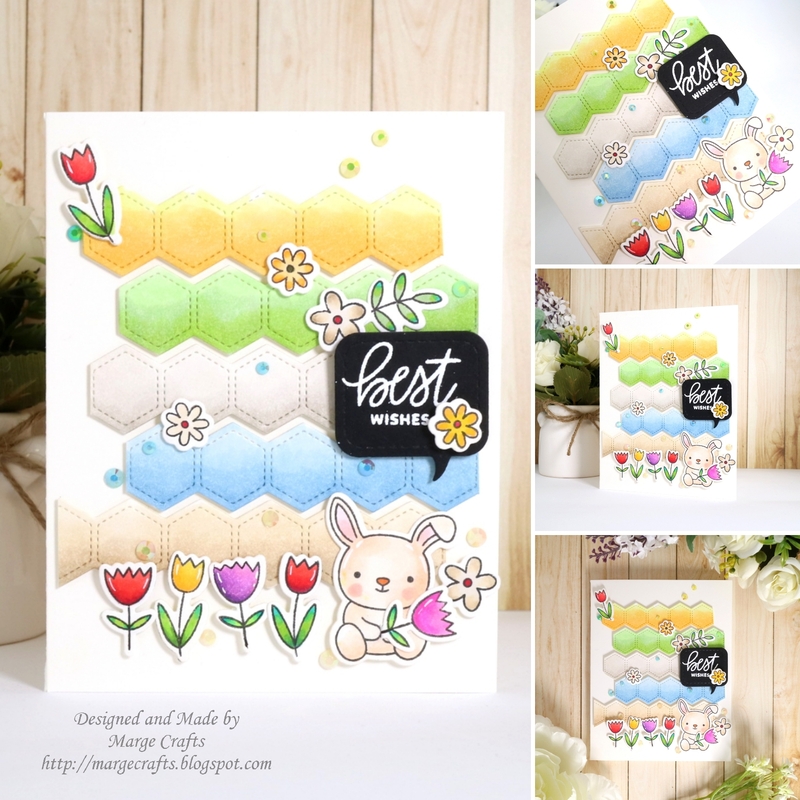 All stamped images in the card are from Bunny Friends Stamp set and were colored with copic markers. After coloring, I cut hexagon diecuts to fit them in the 4.25inch card base, then I foam mounted them directly onto a white card base. I then adhered Bunny Friends Stamp set images using foam tapes. Sentiment was chose from Everyday Greetings set, heat embossed on black cardstock. I used Stitched Speech Bubble dies to cut the sentiment. To embelish the card, I adhered various colors of Pretty Pink Posh Jewels here and there. Visit Pretty Pink Posh for sale information until April 11th.